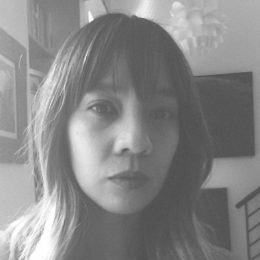 Dao Strom is a writer and musician whose work explores hybridity through melding disparate “voices”—written, sung, visual—to contemplate the intersection of personal and collective histories. She is the author of two fiction books, Grass Roof, Tin Roof and The Gentle Order of Girls and Boys. Her latest project is an experimental memoir, We Were Meant to Be a Gentle People, accompanied by a music album, East/West. She was born in Vietnam and grew up in the Sierra Nevada foothills of Northern California.